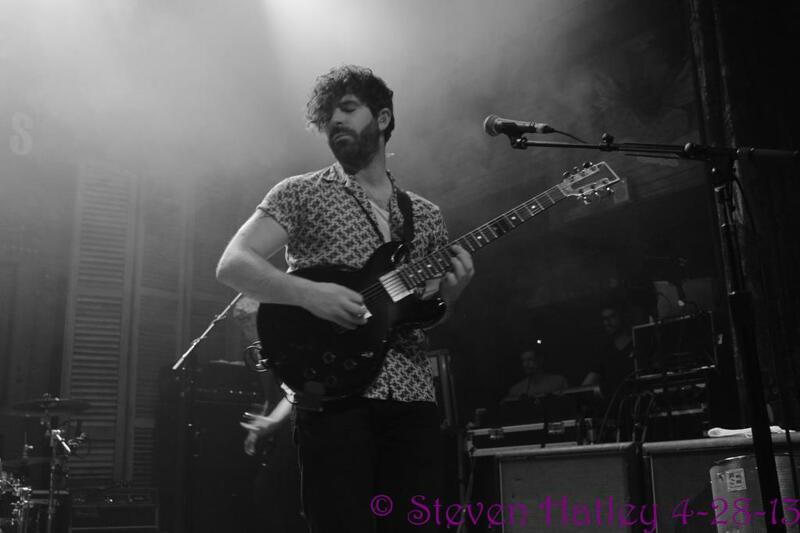 That funny band expression, “they’re big in Europe” was the precursor to the Foals show Sunday night at the House of Blues New Orleans. While the show wasn’t sold out, it was packed and pleasantly comfortable. Supporting act Blondfire was a victim of rain, Jazz Fest, and the inevitable fact they were going on first, while Surfer Blood had a more respectable crowd. LA’s Blondfire had the daunting, unenviable task of starting off the evening. Their electronic shoegazing sound was pleasant to the ears and their three part harmonies were spot on. The duo (a quartet as a live act), did their best to entertain the crowd and gathered great responses from their satellite radio hits “Waves” and “Where the Kids Are.” Their set was simple and straight forward. Erica Driscoll’s vocals mixed will with the overall sound of the band. In addition to the radio hits, Blondfire also played ”Kites” off their yet-to-be-titled forthcoming album and a fun cover of Fleetwood Mac’s “Dreams” an unknowing homage to this year’s Jazz Fest. After a quick turnaround, Surfer Blood took the stage and launched into “Say Yes to Me.” The band was quite jovial and joked all night that, “this is a sad song” and then would go directly into something that was nothing of the sort. While singing “Miranda,” John Paul Pitts, the bands lead vocalist, took to the crowd and enjoyed a cigar, all the while singing along the infectious tune that the band was playing. Surfer Blood to me is a well-crafted mix of Shins, Pixies, and Weezer influences. You just can’t help but dance around. The material from the band’s upcoming album, Pylons, has a bit more mature nature and sounded awesome live. Audience favorite and last song played, “Swim” was a great appetizer for the main event. 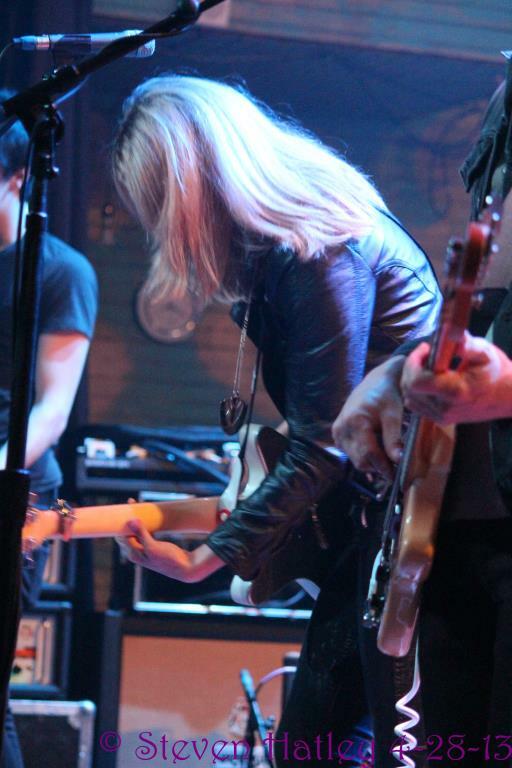 Like, Blondfire, this was Foals first time to visit New Orleans and they were eager to play the near sold out crowd. The set opened with the aptly foreshadowing “Prelude,” a growing a powerful instrumental track, the perfect mood grabber and starter. Of their three albums, the set comprised mostly of material from their latest Holy Fire. The main set ended with “Electric Bloom” off Antidotes. This left the crowd in a total frenzy and the band would come back for an encore that was one for the record books. Foals may not be that big in the US at the moment, but if shows like this are any indication of things to come, they will get there in no time.